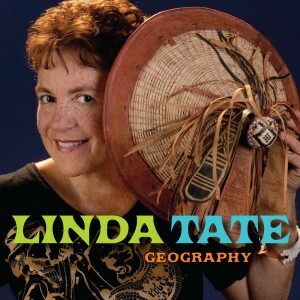 Linda Tate travels often, widely and well. But that’s not the only reason for this album’s title. Tate has not restricted her travels to the external environment; she has also mapped the byways of her own thoughts and emotions, and in the process has discovered as much as she had by traipsing the world. And yet, she says, “With so many songs, so many ways of people saying ‘I love you’ or talking about the stars, I’m always wondering what I can say that’s actually my own take, and also a little different.” Not to worry – there’s plenty of that here.